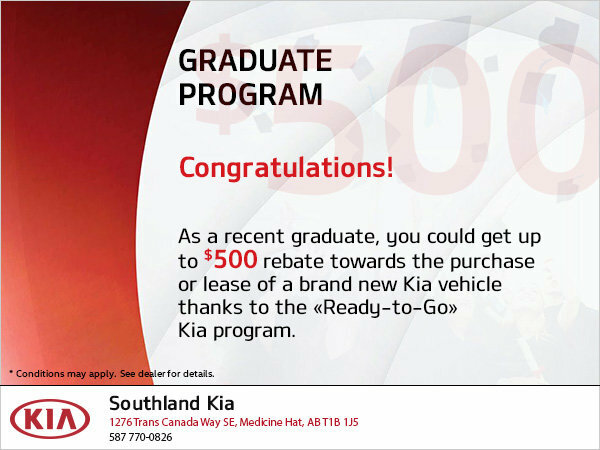 Come to Southland Kia today and take advantage of the $500 Grad Program. - a three-year CEGEP D.E.C. program in Quebec.